a. Videos for Parents and Children (designed for those more newly diagnosed). Videos offered from Boston Children's include mini-episodes on "Raising Your Celiac Child" and "Gluten-Free at College"
b. "Amy Goes Gluten-Free" magazine for children from Boston Children's Hospital - We received several copies of this we can give you at a support meeting, or you could likely request one from Boston Children's Hospital. Your child is entitled to be educated free from discrimination, and to receive a Free and Appropriate Public Education (FAPE) under the law at public and charter schools. They are entitled to privacy about their disability if that is your preference. And importantly, they are likely to be entitled to have a 504 plan at school, with the ongoing accommodations and protections that provides. A 504 plan provides some legal accountability with the school for your student ensuring accomodations for your child are consistently followed, even when teachers change, administrators change, or substitute teachers are brought in and misunderstandings are more likely to occur. Though slight modifications may be made every few years, a formal 504 plan can follow your child throughout elementary, middle, and high school and can be forwarded to public colleges to continue to ensure their changing needs are met. Unfortunately, sometimes well-meaning school staff do not understand celiac disease or non-celiac gluten sensitivity at all and do not realize the ways in which they may inadvertently discriminate against your child at school or put your child's health and learning at risk. In middle school and high school, there is more peer pressure to fit in, and teens are notoriously more likely to be tempted to cheat on their medically necessary gluten-free diet when everyone else in the class is eating their "S'mores plate tectonics science experiment" and there is no comparable treat for your child. To initiate the 504 process in school, a parent first needs to formally request a 504 plan be established for your child from your school counselor or principal. There is no legal help required to initiate a 504 plan through your public school for your child, but if you feel you need help or you feel your child's school may not be fairly considering your child's needs, board certified educational advocates are available (at an hourly rate) to provide a little or a lot of help. The Department of Education's Office of Civil Rights (OCR) also provides guidance to parents and schools and follows up on complaints when a school is believed to not be following the law or established 504 plan complaint procedures. 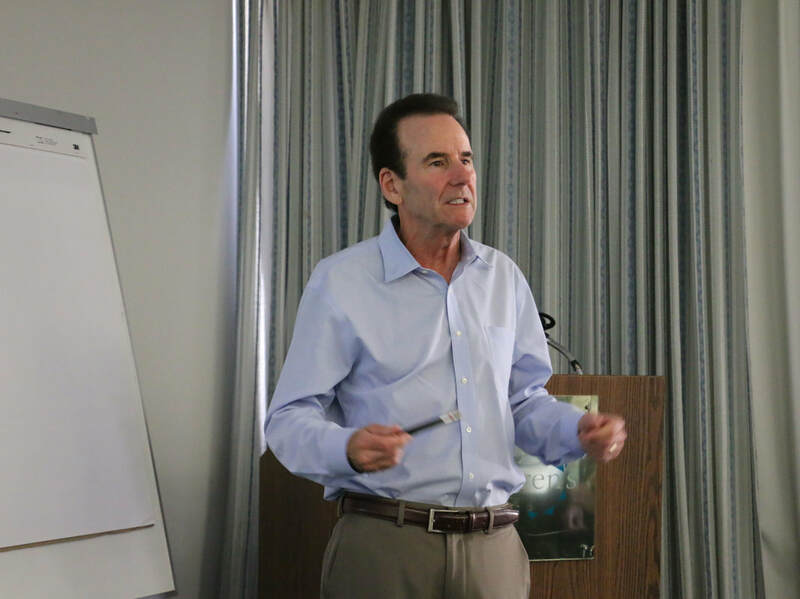 Within our San Diego celiac support group, we have seen several instances where an educational advocate has been very helpful to the 504 plan process. We also have children in our support group attending schools who were frequently not following their child's 504 plan. After trying to resolve the issue with the teachers and school administration failed, parents filed complaints with the Office of Civil Rights, and then saw the situation completely improve or resolve when the California OCR educated the school administration on the student's legal rights. Our support group has sometimes in the past been also been brought in as an advocate to provide general education to school districts, school nurses, and dietitians about managing celiac disease. If this topic interests you, we hope you will attend our May 19, 2019 Raising Our Celiac Kids Support Group Meeting at Mountain Mike's in Clairemont from 1-2:30. You'll meet other parents going through similar struggles, your children will enjoy getting to know other kids following this strict diet, and by ordering some food that day (and mentioning our National Celiac Association San Diego support group), you'll be helping to raise more money for San Diego dietitians to continue to get gluten disorder related education and train our families, schools, and hospitals in San Diego about thriving with celiac disease and non-celiac gluten sensitivity. RSVP to Michele Vargas at sandiegoceliacs@gmail.com. ​​"Never fail to take appropriate action to ensure that a student with Celiac Disease receives the protections of Section 504 to which they are entitled under Federal Law. Many students with Celiac Disease experience challenges in the educational setting and are denied a Free Appropriate Public Education (FAPE). Celiac Disease rises to the level of a disability because this physical impairment substantially limits one or more of the expanded list of non exhaustive major life activities including eating, thinking, concentrating, and the major bodily function of digestion. 3. See Beyond Celiac's Getting Started Guide for those with Celiac Disease and Non-celiac gluten sensitivity - includes 504 plan guidance and lunch/snack ideas. BeyondCeliac.com also put together a very useful Q&A with a pediatric gastroenterologist at the Center for Celiac Disease at The Children's Hospital of Philadelphia (CHOP) to answer questions about children and teens with celiac disease. Also, see their new video on how celiac disease works if you're interested. If you're a parent of a child with celiac disease or non-celiac gluten sensitivity and are having a hard time getting your child's 504 plan established, our support group can give you references to contacts who have helped other members in the past. If you'd like those references or would like to take a more active role for children in the area please contact Michele Vargas. Contact Michele Vargas and we can setup a get together within a couple of weeks near your part of town with other families whose children have celiac disease or gluten-related disorders. We also have other parents you can connect with that are in town. Children, teens, and parents are always welcome at our support meetings, and sometimes we have special events and activities just for the kids. The best way to learn to follow a strict gluten-free diet is with help from a celiac-specializing dietitian. Our support group of 21 years is happy to connect you with celiac-specializing dietitians we have had experience with. CeliacNow.org, created with support from a grant to Harvard's Beth Israel Deaconness Medical Hospital's Celiac Center was co-authored by one of the country's top celiac specializing dietitians with celiac disease herself. It's a rich, additional completely free resource to learn basic through advanced skills for following a strict gluten-free diet. Beyond Celiac Infographics: Facts About Celiac Disease, An Invisible Illness, and the Psychosocial Impacts of Celiac Disease https://www.beyondceliac.org/60forceliac/#infographics - Note: Members say this is helpful when explaining the need for support and assistance in schools and other institutions. Help yourself and your community long term. Ask the restaurant if they have recently trained all of their food related staff using one of the three nationally available gluten free certification programs for dietitians, chefs, and staff, and when and whether they go beyond the training and pay extra to be audited by these groups. These 3 programs go extensively beyond the very basic ServSafe training related to celiac: (1) Menu Trinfo (2) Beyond Celiac/Great Schools/Great Kitchens (this program is online and only costs ~$100 per manager) (3) Gluten Intolerance Group's Food Services group. Let us know when you find those in San Diego that have done this and we'll post it on our website & social media. Check to make sure the restaurant's flours, grains, legumes, and seeds used to prepare menu items are labeled gluten-free, since cross-contamination can be a problem with many naturally occurring gluten-free grain flours, including rice flour (over 30% of naturally occurring gluten-free grains were significantly cross contaminated with gluten in a 2010 study). Ask any bakery or restaurant who bakes their own gluten-free products if and how often they test their final products using the R5 ELISA Ridascreen Gliadin Competitive R7021 (R-Biopharm AG) . A competitive ELISA is used when assessing food for gluten protein fragments, which occur when gluten protein is hydrolyzed or fermented. A "dipstick, in house test" is not adequate according to leading celiac dietitians and researchers. Check to make sure any San Diego restaurant or bakery is using purity protocol oats, not just oats that are labeled GF or certified gluten-free. Check to make sure they're following protocols necessary in the kitchen and have the staff all trainined on when to wash hands use a separate fryer and carefully avoid cross contamination. Contact the National Celiac Organization to learn other important steps to take to avoid cross contamination including cooking food on clean stainless steel pans, using a separate gluten-free work area, using separate dedicated gluten-free cutting boards, gluten-free collanders, gluten-free cooking utensils, using a separate dedicated gluten-free toaster, ideally serving gluten-free food on plates that are shaped differently from those used to serve food which contains gluten, not cooking food directly on a grill that is used for food containing gluten, not cooking gluten-free food in water used to boil pasta, and more. Restaurant owners can also enquire about their new national registry of gluten-free restaurants. You may choose to be especially careful at pizza establishments serving "gluten-free" pizza - some are not as safe as others (see adjacent slide, courtesy of Melinda Dennis, MS, RDN). The answer is ALL of these steps are needed to keep gluten-free pizza safe. See article on "Top 10 Mistakes Restaurants Make When Trying to Provide You with Gluten-Free Meals" from the GlutenFreeTravelBlog.com (the article gives suggestions primarily to delight gluten-free customers, but does offer one point about cross-contamination). Often, folks with celiac disease will get push back from area restaurants, dining facility managers and head chefs in schools, senior centers and hospitals and gluten-free bakers in San Diego who think you don't need to follow this strict rule about flours, grains, and seeds needing to be marked as gluten free, and bakers who think their final product doesn't need to be tested by a R5 ELISA Ridascreen Gliadin Competitive R7021 (R-Biopharm AG) or a competitive ELISA when assessing food for gluten protein fragments, which occur when gluten protein is hydrolyzed or fermented. This is often because they believe their customers have never had a problem. Please continue to share with these folks new studies about the ~40% of kids and adults with non-responsive celiac due to inadvertent cross contamination in restaurants or the new meta analysis report showing the average adult and child with continuing symptoms on a gluten free diet is getting on 3-7 times the maximum safe amount of gluten in their diet through cross contamination. Some San Diego Area Restaurants Designated as Dedicated Gluten-Free (note, we do not do our own testing on these products, we are just passing on from these restaurants). 2Good2B in Rancho Bernardo, is a dedicated gluten-free, corn-free, soy-free bakery and restaurant. They are also well known for their exquisite custom cakes and offer catering options as well.​ (Note, unfortunately, the 2Good2B Encinitas store has closed as of 4/19). Healthy Creations in Encinitas, CA. They offer delicious, organic, popular gluten-free take-and-make meals, and a terrific bakery and in-house menu. Nectarine Grove in Leucadia, CA is also a new, dedicated gluten-free restaurant and bakery. One of the owners also owns Healthy Creations. Extra parking is available across the street near the rail road tracks. Starry Lane Bakery in Hillcrest, CA is a dedicated facility, free of all of the top 10 food allergens, including; gluten, soy, dairy, eggs, tree nuts, and peanuts. See their website for holiday food items and recipes. No endorsement is necessarily implied for these restaurants, but we thought you might want to be aware these dedicated gluten-free restaurants are in San Diego. What type of facility do you use (ie. dedicated gluten-free)? Do you test your at-risk “raw” ingredients for gluten contamination and how frequently do you test? Have you validated your in-house testing procedure? Do you periodically send your finished product to a third-party lab for testing using the R5 ELISA?​ Do you work with the third party lab to determine best practices in terms of sampling and testing? For cruises, it's often best to call week in advance to indicate you are medically gluten-free so they can prepare for you. 1. Video - Feb. 2018 Expert Celiac Dietitian and Author, Melinda Dennis, MS, RDN talk "Is it Gluten Free? 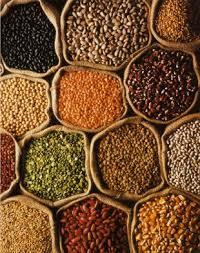 A Closer Look at Non-Celiac Gluten Sensitivity"
2. Video - Feb. 2018 Audience Questions and Answers with Expert Celiac Dietitian and Author, Melinda Dennis, MS, RDN after her talk "Is it Gluten Free? A Closer Look at Non-Celiac Gluten Sensitivity"
4. Videos from Feb. 2018 - Sheila Crowe, MD, President of the American Gastroenterological Association and Head of the Celiac Disease Clinic at UCSD, speaking about Celiac Disease and Non-Celiac Gluten Sensitivity to the Orange County and San Diego National Celiac Association support groups. Click here to see the videos and to learn how to contact her clinic. - (Date unknown) - Rochester Celiacs features a video of Dr. Rosalind Hayes, OBGYN, who covered Women's Health Issues & Celiac Disease. Dr. Hayes herself has celiac disease and explains in the video many cases that she has treated related to celiac disease including highlighting the risk factors for those not strictly following a gluten-free diet. This seems like a good one to share with other OBGYNS and general practitioners as well. If your doctor is allowing you to eat oats, Melinda Dennis, MS, RDN says the hospital she works at in Boston recommends purity protocol oats, not “just” gluten-free oats, due to optical and mechanical sorting. In a study conducted by Tricia Thompson, Anne Lee, and Thomas Grace, 32% of the naturally gluten-free grains and flours tested contained gluten in amounts greater than 20 parts per million. Excerpt from GlutenFreeWatchdog.org: "Unfortunately, the Food and Drug Administration under the gluten-free labeling rule is NOT requiring manufacturers to test their labeled gluten-free foods for gluten contamination. Contamination of naturally gluten-free grains and flours with wheat, barley, and rye is a concern to many people who must eat gluten-free. In a study conducted by Tricia Thompson, Anne Lee, and Thomas Grace, 32% of the naturally gluten-free grains and flours tested contained gluten in amounts greater than 20 parts per million. 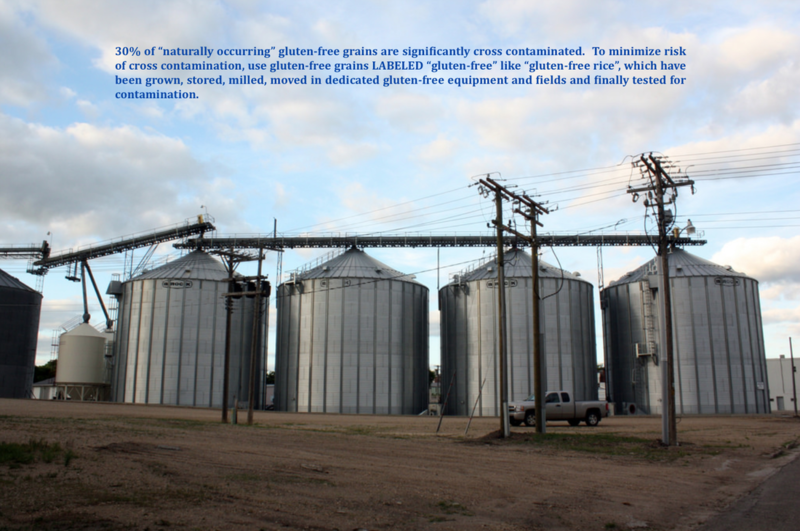 Gluten contamination can occur in the fields where food is grown, in the trucks and railcars where food is transported, and in the processing and manufacturing plants where food is made ready for the consumer. It is our hope that independently testing labeled gluten-free products and making results available to subscribers will allow you to feel more confident in the products you buy. " GlutenFreeWatchdog.org is a not for profit service which independently tests hundreds of packaged products with top-notch ELISA tests in triplicate to see how much gluten they really contain. Click here to learn more about this service and how much it costs to subscribe. Curious about what kinds of products they test? Click here for the list of categories and number of products she's tested. Sign up for the national Celiac Listserv (this is not related to our support group) if you'd like to receive emails from others around the country about celiac disease. The emails include primarily general Q&A's about celiac, upcoming non-profit celiac related events, recruiting for trials, and once a month info. about celiac cookbooks and special educational or travel programs for those managing the disease. The sign-up process begins with sending an e-mail to CELIAC-subscribe-request@LISTSERV.ICORS.ORG. Learn how to bake gluten-free with America's Test Kitchen's online Gluten-Free Cooking School (this is not an endorsement, but we are just mentioning it as an option). See fee to participate online. Let's face it, we cook at lot! Here are some shortcuts and tips for San Diegans to make that easier! If you enjoy gardening and growing some of your own food, try the San Diego Master Gardener Association Growing Guides: http://www.mastergardenersd.org/growing-guides/www.mastergardenersd.org/growing-guides/ for help on planting times and tips to take care of your plans. Some plants that San Diego gluten-free families find particularly handy and easy to grow are basil, thyme, oregano and meyer lemons for use in so many recipes. Instacart grocery delivery service in San Diego can be a real time saver and is convenient to use when planning ahead for recipes! San Diego Community Support Agriculture (CSA) programs help keep us stocked with fresh produce. CSA Farm Fresh to You actually delivers and let's you narrow down what food you want delivered. If you have the space and money, having an extra freezer can be a great asset. Cook extra large meals and freeze a meal for another day. Have a secret stash of candy or make extra cupcakes and freeze them for children in school when a last minute birthday pops up. Keep cheese, grains, seeds, and flours fresh longer by vacuum sealing them and storing them in the refrigerator - use something like a full size or even a portable Foodsaver which you can get at Costco, Walmart, Target, and Bed Bath and Beyond to keep these foods and home baked goods fresher much longer. For school age kids, pizza parties are common, but most pizza places in San Diego are not adept at preparing celiac safe gluten-free pizzas. 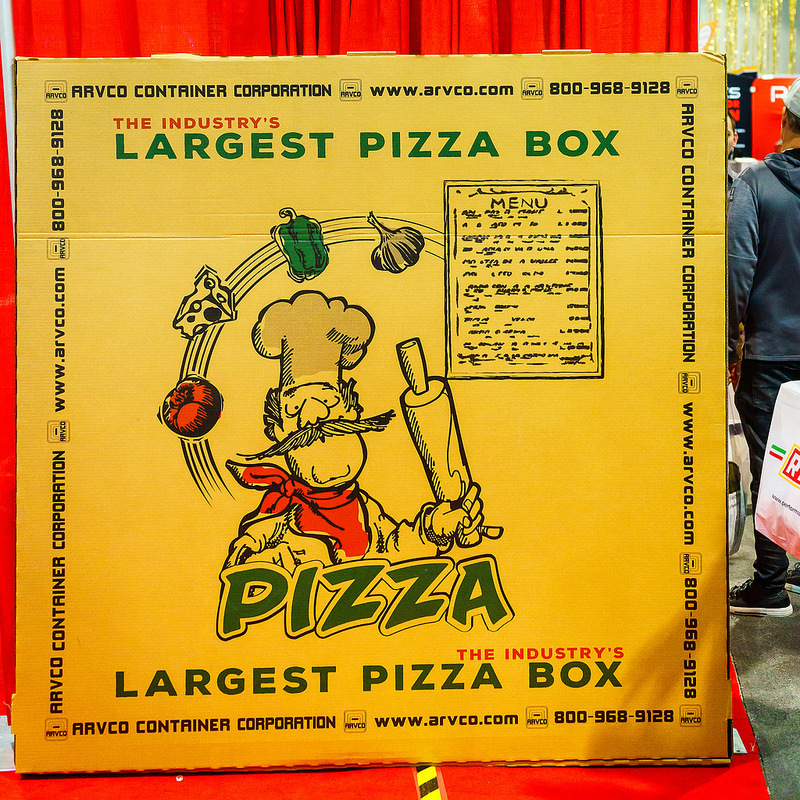 Some of our families buy pizza boxes like this from amazon or bags to keep their pizza warm in. Make the pizza at home and bring it with you. It will look store-bought yet will be safe and they will fit right in. Bring homemade gluten-free cross-contamination free pizza in a pizza box to pizza parties!